Grabbing the hand of of girl in the train and abusing her, an engineering student used pepper spray to escape. the incident happened in women’s compartment of the train. The man from Wayanad was later arrested and remanded. The 70-year-old man, who identified himself only as ‘Bhagyananda Saraswati’, entered the ladies-only coach of the Ernakulam-Guruvayur passenger train around 6 am on Friday. Though the women passengers protested, he refused to leave. He then sat near the women and misbehaved with the women passengers. When the engineering student challenged him, he tried to shut her up and grabbed her by the hands. When the girl tried to free herself from ‘human god’ attack, he tried to assault her. The girl immediately took out the pepper spray kept in her bag and sprayed it on his face. The old man was not to back off. He washed his face and returned and started to make problems again. He alleged that the girl had tried to spray some drugs on his face. As the passers-by started shooting pictures of the girl, the other women in the coach explained what had really happened. The godman tried to escape at the time train reached Angamaly but the railway police caught him and arrested on assault against women. Railway police sub inspector Sarath and team interrogated the harasser but they could not get the man reveal his real name and whereabouts. He has been remanded by the court. 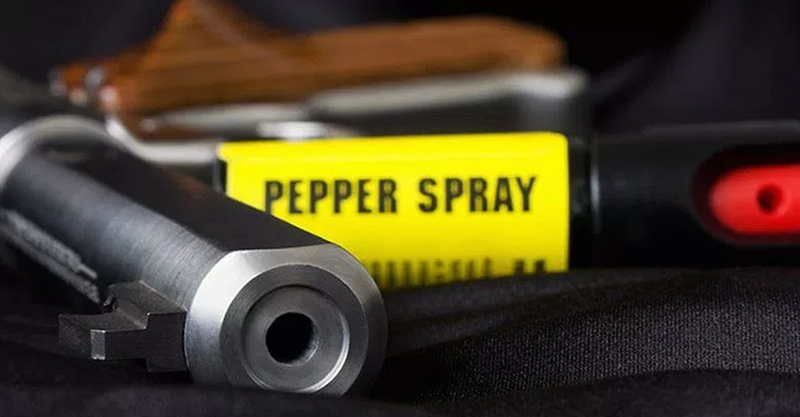 The engineering student said that she was saved only because of the pepper spray which was supplied by her college as part of a self-defence campaign happened a week ago in the college.